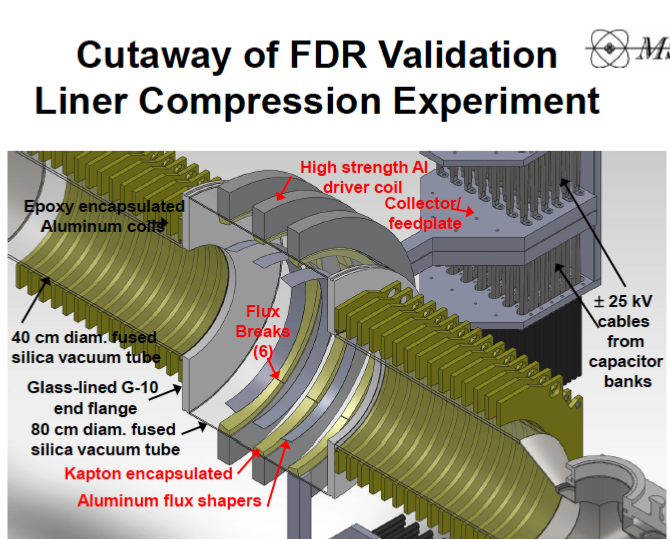 Lockheed Martin Skunkworks is developing a compact fusion reactor concept, CFR. The novel magnetic cusp configuration would allow for stable plasmas in a geometry amenable to economical power plants and power sources. The details of the CFR configuration will be discussed along with a status of the current plasma confinement experiments underway at Lockheed. The presentation will also touch on the potential of a fast development path and challenges to bring such a device to fruition. 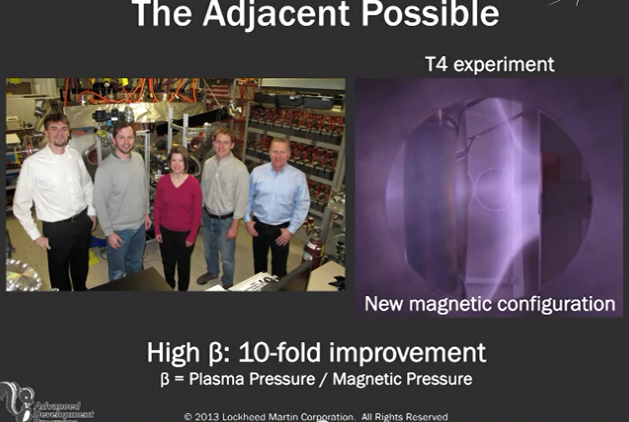 The high beta fusion reactor (also known as the 4th generation prototype T4) is a project being developed by a team led by Charles Chase of Lockheed Martin’s Skunk Works. The “high beta” configuration allows a compact fusion reactor design and speedier development timeline. 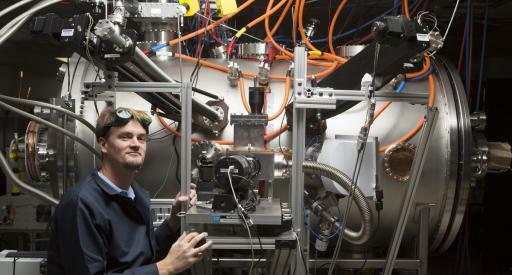 The chief designer and technical team lead for the Compact Fusion Reactor (CFR) is Thomas McGuire, who did his PhD dissertation on fusors at MIT. 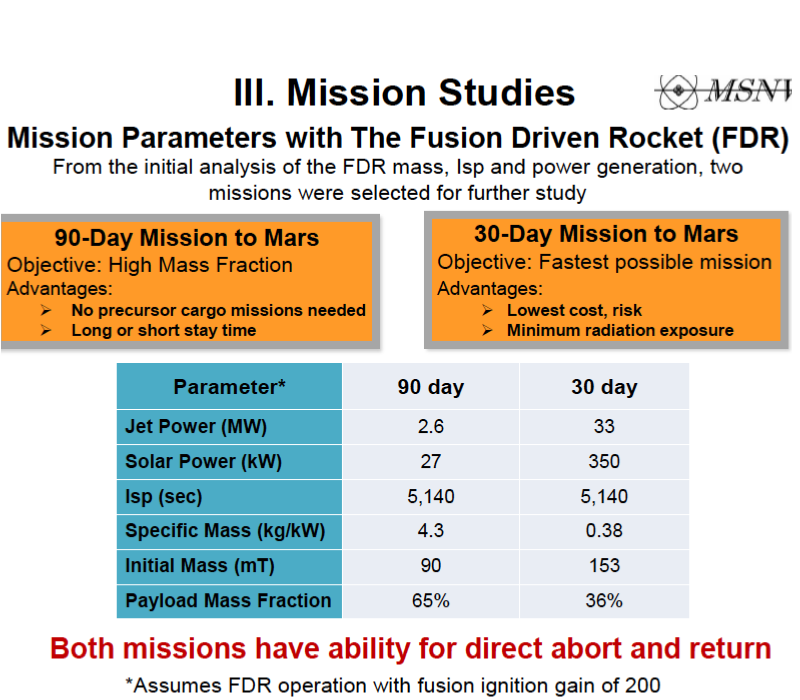 McGuire studied fusion as a source of space propulsion in graduate school in response to a NASA desire to improve travel times to Mars. The project began in 2010. 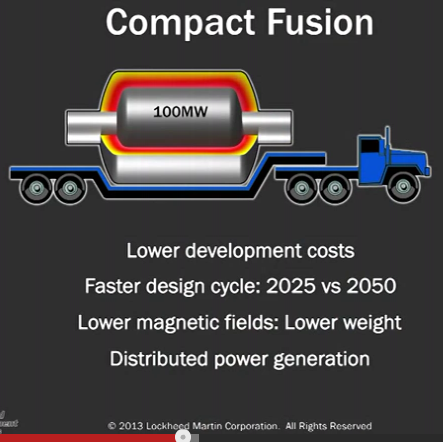 In October 2014 Lockheed Martin announced that they will attempt to develop a compact fusion reactor that will fit “on the back of a truck” and produce 100 MW output – enough to power a town of 80,000 people. Lockheed is using magnetic mirror confinement that contains the plasma in which fusion occurs by reflecting particles from high-density magnetic fields to low-density ones. Lockheed is targeting a relatively small device that is approximately the size of a conventional jet engine. The prototype is approximately 1 meter by 2 meters in size. McGuire previously provided some technical and project details in late 2014. MIT Technology Review reports on the skepticism and critics of the Lockheed Martin approach. Ian Hutchinson, a professor of nuclear science and engineering at MIT and one of the principal investigators at the MIT fusion research reactor, says the type of confinement described by Lockheed had long been studied without much success. McGuire acknowledged the need for shielding against neutrons for the magnet coils positioned inside the reactor vessel. He estimates that between 80 and 150 centimeters of shielding would be needed, but this can be accommodated in their compact design. Researchers contacted by ScienceInsider say that it is difficult to estimate the final size of the machine without more knowledge of its design. Lockheed has said its goal is a machine 7 meters across, but some estimates had suggested that the required shielding would make it considerably larger. Their magnetic confinement concept combined elements from several earlier approaches. The core of the device uses cusp confinement, a sort of magnetic trap in which particles that try to escape are pushed back by rounded, pillowlike magnetic fields. Cusp devices were investigated in the 1960s and 1970s but were largely abandoned because particles leak out through gaps between the various magnetic fields leading to a loss of temperature. McGuire says they get around this problem by encapsulating the cusp device inside a magnetic mirror device, a different sort of confinement technique. Cylindrical in shape, it uses a magnetic field to restrict particles to movement along its axis. Extra-strong fields at the ends of the machine—magnetic mirrors—prevent the particles from escaping. Mirror devices were also extensively studied last century, culminating in the 54-meter-long Mirror Fusion Test Facility B (MFTF-B) at Lawrence Livermore National Laboratory in California. In 1986, MFTF-B was completed at a cost of $372 million but, for budgetary reasons, was never turned on. Another technique the team is using to counter particle losses from cusp confinement is recirculation. The Mirror Fusion Test Facility B followed the earlier Baseball II device, the facility was originally a similar system in which the confinement area was located between two horseshoe-shaped “mirrors”. During construction, however, the success of the Tandem Mirror Experiment (“TMX”) led to a redesign to insert a solenoid area between two such magnets, dramatically improving confinement time from a few milliseconds to over one second. Parts of the MFTF-B were reused. [A spheromak ignition experiment reusing Mirror Fusion Test Facility (MFTF) equipment]. Initial work demonstrated the feasibility of building a 100-megawatt reactor measuring seven feet by 10 feet, which could fit on the back of a large truck, and is about 10 times smaller than current reactors. 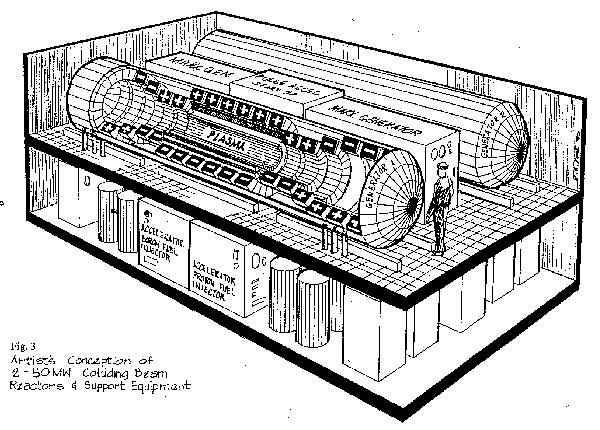 The Lockheed 100MW compact fusion reactor would run on deuterium and tritium (isotopes of hydrogen). 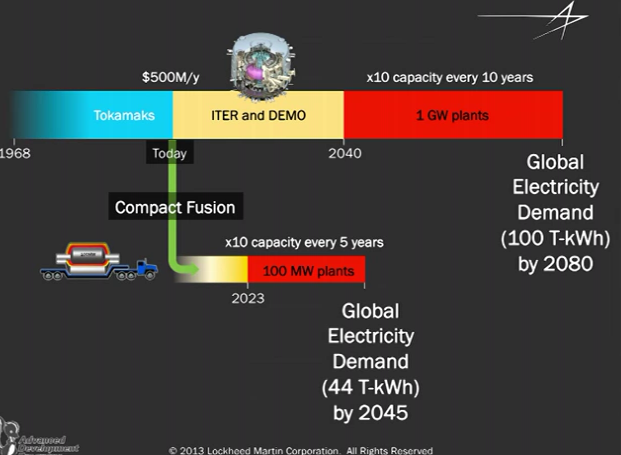 Instead of the large tokomaks which will take until the mid-2040s or 2050s for the first one and which will be large (30,000 tons) and expensive have one that fit on a truck. Build on a production line like jet engines. Aviation Week was given exclusive access to view the Skunk Works experiment, dubbed “T4,” first hand. Led by Thomas McGuire, an aeronautical engineer in the Skunk Work’s aptly named Revolutionary Technology Programs unit, the current experiments are focused on a containment vessel roughly the size of a business-jet engine. Connected to sensors, injectors, a turbopump to generate an internal vacuum and a huge array of batteries, the stainless steel container seems an unlikely first step toward solving a conundrum that has defeated generations of nuclear physicists—namely finding an effective way to control the fusion reaction. The Lockheed design “takes the good parts of a lot of designs.” It includes the high beta configuration, the use of magnetic field lines arranged into linear ring “cusps” to confine the plasma and “the engineering simplicity of an axisymmetric mirror,” he says. The “axisymmetric mirror” is created by positioning zones of high magnetic field near each end of the vessel so that they reflect a significant fraction of plasma particles escaping along the axis of the CFR. “We also have a recirculation that is very similar to a Polywell concept,” he adds, referring to another promising avenue of fusion power research. A Polywell fusion reactor uses electromagnets to generate a magnetic field that traps electrons, creating a negative voltage, which then attract positive ions. The resulting acceleration of the ions toward the negative center results in a collision and fusion. * The magnetic field increases the farther that you go out, which pushes the plasma back in. * The Lockheed system has a beta of about 1. Currently a cylinder 1 meter wide and 2 meters tall. The 100 MW version would be about twice the dimensions. 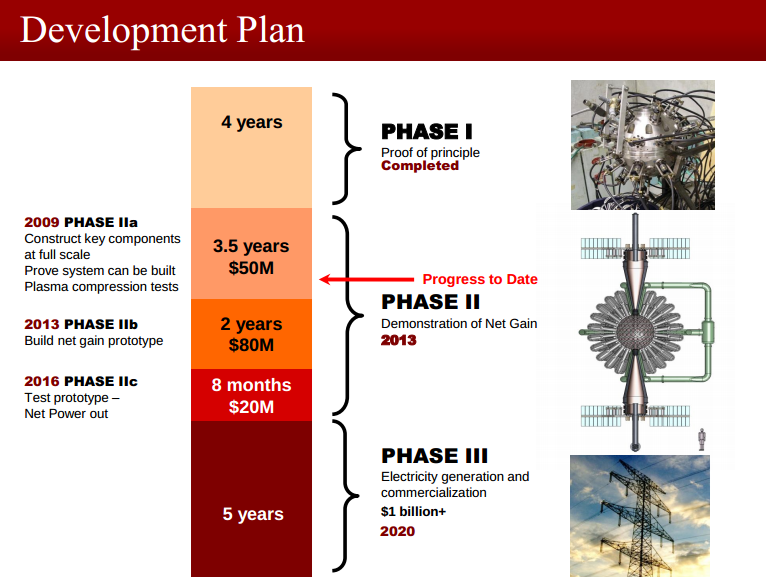 LPP Fusion (Lawrenceville Plasma Physics) – the target is to make LPP Fusion with a commercial system 4 years after net energy gain is proved. The hop is two years to prove net energy gain. Then 2019-2022 for a commercial reactor (2022 if we allow for 3 years of slippage). They could lower energy costs by ten times. Lockheed Compact Fusion has a target date of 2024 and made big news recently with some technical details and an effort to get partners. Dynomak Fusion claims that they will be able generate energy cheaper than coal. They are not targeting commercialization until about 2040. MagLIF is another fusion project with good funding but without a specific target date for commercialization. There is Muon Fusion research in Japan and at Star Scientific in Australia. There is the well funded National Ignition facility with large laser fusion and there is the International Tokomak project (ITER). Tri-alpha energy has good funding. ITER is very well funded but their goal of making massive football stadium sized reactors that have commercial systems in 2050-2070 will not get to low cost, high impact energy. National Ignition facility is also very well funded but again I do not them achieving an interesting and high impact, lowcost form of energy. Nuclear fusion is one of the main topics at Nextbigfuture. I have summarized the state of nuclear fusion research before. A notable summary was made three years ago in mid-2010. I believed at the time that there could be multiple successful nuclear fusion project vying for commercial markets by 2018. Progress appears to be going a more slowly than previously hoped, but there are several possible projects (General Fusion, John Slough small space propulsion nuclear fusion system, Lawrenceville Plasma Physics – if they work out metal contamination and other issues and scale power) that could demonstrate net energy gain in the next couple of years. There will be more than one economic and technological winner. Once we figure out nuclear fusion there will be multiple nuclear fusion reactors. It will be like engines – steam engines, gasoline engines, diesel engines, jet engines. 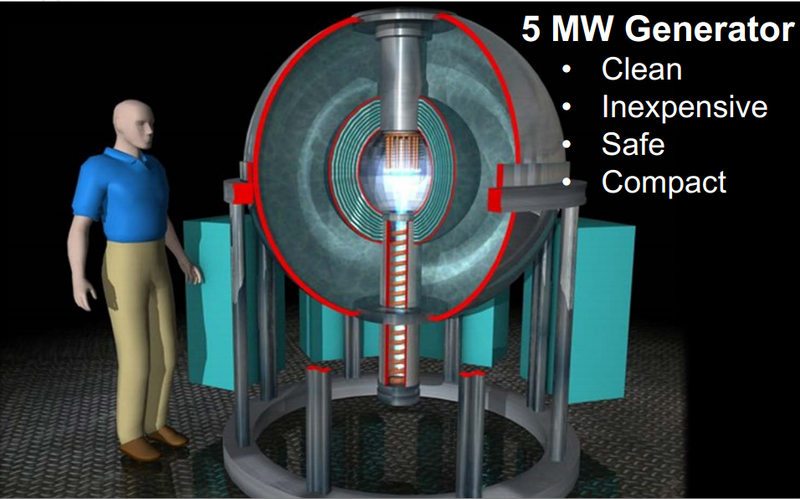 There will be multiple makers of multiple types of nuclear fusion reactors. There will be many applications : energy production, space propulsion, space launch, transmutation, weapons and more. We will be achieving greater capabilities with magnets (100+ tesla superconducting magnets), lasers (high repetition and high power), and materials. We will also have more knowledge of the physics. What had been a long hard slog will become easy and there will be a lot more money for research around a massive industry. The cleaner burning aspect of most nuclear fusion approaches versus nuclear fission is not that interesting to me. It is good but nuclear fission waste cycle could be completely closed with deep burn nuclear fission reactors that use all of the uranium and plutonium. In China it is straight up engineering questions. 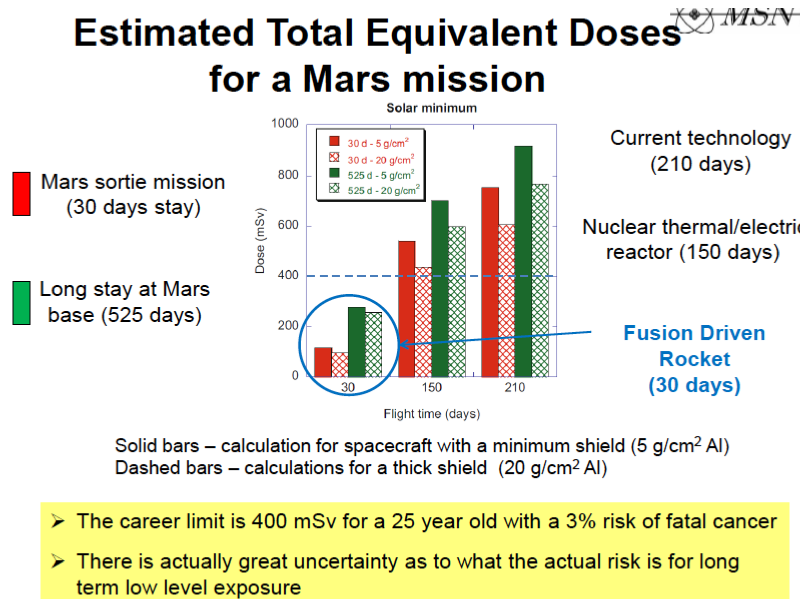 So there will be a transition to moderately deeper burn pebble bed reactors from 2020-2035 (starts 2015 but not a major part until 2020) and then a shift to breeders 2030-2050+. There will be off-site pyroprocessing to help close the fuel cycle. What matters are developments which could radically alter the economy of the world and the future of humanity. The leading smaller nuclear fusion projects hold out the potential of radically lowering the cost of energy and increasing the amount of energy. Nuclear fusion can enable an expansion of the energy used by civilization by over a billion times from 20 Terawatts to 20 Zettawatts. Nuclear fusion also enables space propulsion at significant fractions of the speed of light (1 to 20% of lightspeed.) Earth to orbit launch with nuclear fusion spaceplanes or reusable rockets and trivial access to anywhere in the solar system. General Fusion is trying to make affordable fusion power a reality. In General Fusion’s design, the deuterium-tritium fuel is supplied as a pair of magnetized plasma rings, known as compact toroids (CT). The CTs are delivered to an evacuated vortex inside a volume of liquid lead-lithium eutectic (atomic percentage ratio 83% Pb, 17% Li; hereafter referred to as Pb-17Li) for the duration of an acoustically-driven spherical collapse. The cavity volume is reduced by three orders of magnitude, raising the plasma density from 10^17 ions/cm3 to 10^20 ions/cm3, the temperature from 0.1 keV to 10 keV, and the magnetic field strength from 2 T to 200 T. The fusion energy will be generated during the 10 µs that the plasma spends at maximum compression, after which the compressed plasma bubble causes the liquid metal wall to rebound. Most energy is liberated as neutron radiation that directly heats the liquid metal. Using existing industrial liquid metal pumping technology the heated liquid metal is pumped out into a heat exchange system, thermally driving a turbine generator. The cooled liquid metal is pumped back into the vessel tangentially to reform the evacuated cylindrical vortex along the vertical axis of the sphere. Liquid Pb-17Li is ideal as a liner because it has a low melting point, low vapor pressure, breeds tritium, has a high mass for a long inertial dwell time, and has a good acoustic impedance match to steel, which is important for efficiently generating the acoustic pulse. The 100 MJ acoustic pulse is generated mechanically by hundreds of pneumatically- 4 driven pistons striking the outer surface of the reactor sphere. The acoustic pulse propagates radially inwards, strengthened by geometric focusing from 1 GPa to 10 GPa at the surface of the vortex. The previous year (2012) has seen much progress towards creating and compressing plasma and the outlook is now very encouraging. 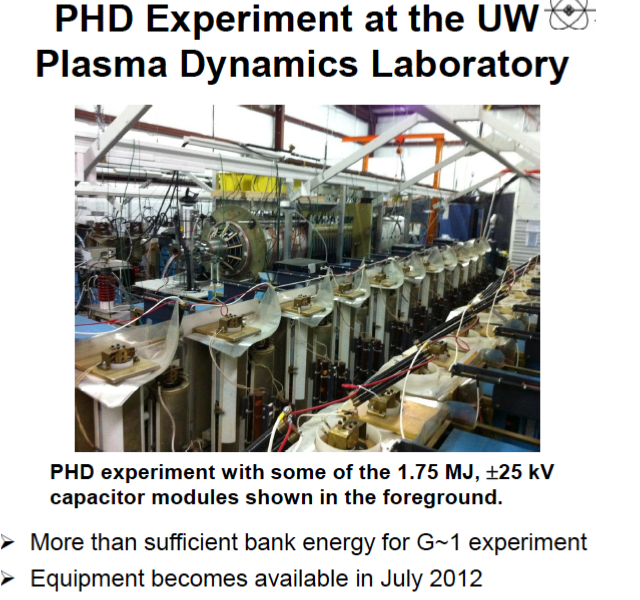 In particular, plasma densities of 1016 ions/cm3 at over 250 eV electron temperatures and up to 500 eV plasma ion temperatures have been demonstrated. Indications are that the formation region of the injector has achieved closed flux surfaces and that these surfaces are maintained during acceleration allowing for adiabatic compression and heating. Piston impact speeds of 50 m/s and servo-controlled impact timing accurate to ±2 µs have been achieved. The 14-piston liquid Pb Mini-Sphere assembly for testing vortex generation and piston impact has been fully commissioned and is collecting data. General Fusion is buoyed by recent progress on all fronts of the MTF program. Improvements in piston survival, liquid Pb handling, plasma temperature, acceleration efficiency, injector reliability, and regulatory matters have left the team and investors with a positive outlook on the coming year and the company’s ability to meet goals. General Fusion intends to build a three-meter-diameter steel sphere filled with spinning molten lead and lithium. Super-heated plasma would be injected into the vortex and then the outside of the sphere would be hit with 200 computer-synchronized pistons travelling 100 meters per second (200 mph) The resulting shock waves would compress the plasma and spark a fusion reaction for a few microseconds. In 2013, Rusnano Group, a state-owned venture firm, invested an undisclosed amount in Tri-Alpha Energy. The Russian investment is the latest round of financing for Tri-Alpha which, prior to the Rusnano backing, is believed to have raised over $140 million from Goldman Sachs, venture capital firms including Venrock, Vulcan Capital and New Enterprise Associates, Microsoft co-founder Paul Allen, and others. The design of a 100 MW reactor is underway. Test “shots” to demonstrate plasma confinement are in progress. It is based upon field reversed research but it seems they are migrating towards a pulsed colliding beam approach that looks more similar to Helion Energy. In the picture below, look closely at the cylinder in front of the person. It looks like the Helion Energy design. Tri-alpha is still secretive but what has been revealed about progress does not indicate a breakthrough has yet been achieved to net energy gain. 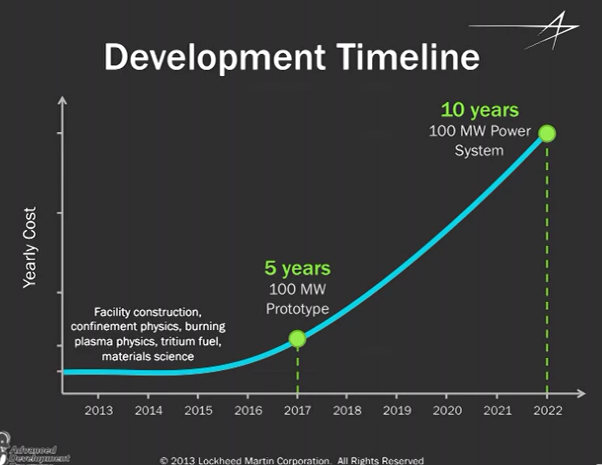 Tri-alpha energy has previously talked about getting to a commercial system by 2018. Helion Energy Fusion Engine has received about $7 million in funds from DOE, the Department of Defense and NASA. They had already received $5 million which they used to build a one third scale proof of concept. They raised another $2 million and plan to raise another $35 million in 2015-17, and $200 million for its pilot plant stage. The MSNW LLC (sister company to Helion Energy working on Space fusion) does refer to the Helion Energy work. MSNW is working on a NASA grant to develop direct nuclear fusion space propulsion. They have said they will demonstrate net energy gain within 6-24 months. The Fusion Engine is a cyclically operating fusion power plant technology that will be capable of clean energy generation for base load and on-demand power. 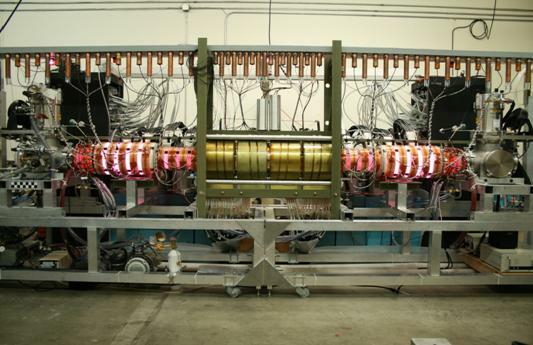 The Fusion Engine is a 28-meter long, 3-meter high bow tie-shaped device that at both ends converts gases of deuterium and tritium (isotopes of hydrogen) into plasmoids – plasma contained by a magnetic field through a process called FRC (field-reversed configuration). It magnetically accelerates the plasmoids down long tapered tubes until they collide and compress in a central chamber wrapped by a magnetic coil that induces them to combine into helium atoms. The process also releases neutrons. The Helion Energy Fusion Engine provides energy in two ways. Like in a fission reactor, the energy of the scattered neutrons gives off heat that ultimately drives a turbine. Helion is also developing a technique that directly converts energy to electricity. The direct conversion will provide about 70 percent of the outgoing electricity according to Kirtley. Helion Energy new plan is to build a 50-MWe pilot of its “Fusion Engine” by 2019 after which licensees will begin building commercial models by 2022. 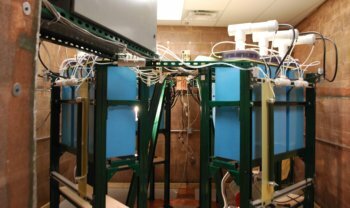 The LPP approach uses a device called a dense plasma focus (DPF) to burn aneutronic fusion fuels that make no radioactive waste, a combination LPP calls “Focus Fusion.” LPP has taken major strides towards their goal. Net fusion energy is like a tripod, and needs three conditions to stand (or in the LPP case, get more energy out than is lost). 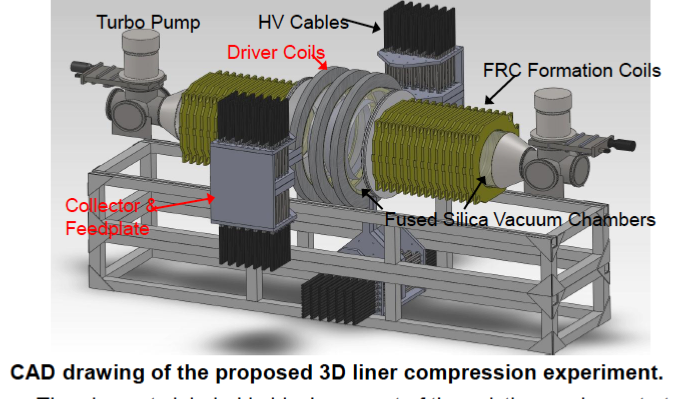 Despite FF-1’s low cost of less than $1 million, the results LPP published showed FF-1 has achieved two out of three conditions—temperature and confinement time—needed for net fusion energy. If they were able to achieve the third net fusion energy condition, density, they could be within four years of beginning mass manufacture of 5 Megawatt electric Focus Fusion generators that would scale to meet all global energy demands at a projected cost 10 times less than coal. While we still must demonstrate full scientific feasibility, FF-1 already achieves well over 100 billion fusion reactions in a few microseconds. In the past month’s experiments, LPP’s research team has demonstrated the near tripling of ion density in the plasmoid to 8×10^19 ions/cc, or 0.27 mg/cc. At the same time, fusion energy output has moved up, with the best three shot average increasing 50% to one sixth of a joule of energy. While the yield and density improvements show we are moving in the right direction, they are still well below what the LPP team theoretically expects for our present peak current of 1.1 MA. Yield is low by a factor of 10 and density by a factor of nearly 100. If we can get yield up to our theoretical expectation of over 1 joule, our scaling calculations tell us that with higher current we can make it all the way to the 30,000 J that we need to demonstrate scientific feasibility. We’ve long concluded that this gap between theory and results is caused by the “early beam phenomenon” which is itself a symptom of the current sheath splitting in two, feeding only half its power into the plasmoid. In the next shot series, we will replace the washers with indium wire which has worked elsewhere on our electrodes to entirely eliminate even the tiniest arcing. We will also silver-plate the cathode rods as we have done with the anode. Over the longer run, we are looking at ways to have a single-piece cathode made out of tungsten or tungsten-copper in order to eliminate the rod-plate joint altogether. These steps should get rid of the filament disruption for good, enabling results to catch up with theory. Researchers at Sandia National Laboratories in Albuquerque, New Mexico, are using the lab’s Z machine, a colossal electric pulse generator capable of producing currents of tens of millions of amperes, say they have detected significant numbers of neutrons—byproducts of fusion reactions—coming from the experiment. For enough reactions to take place, the hydrogen nuclei must collide at velocities of up to 1000 kilometers per second (km/s), and that requires heating them to more than 50 million degrees Celsius. They need to boost neutron production by 10,000 times to get to breakeven. I just do not always cover all the background every time I update one of the projects that I am tracking. They are all available from the tags and by searching my site. Dozens of articles on Fusion going back about 8 years.